Water Heaters Only, Inc.Not Enough Hot Water - Water Heaters Only, Inc.
Not able to enjoy a steaming hot bath any more or do you run out of hot water during a shower? Running out of hot water is never any fun and it can be caused by a few different issues. Read below to see what might be causing your hot water to run cold or call 951-688-1175 to speak with a water heater expert and let us help you diagnose the problem and determine if you need service for your water heater. 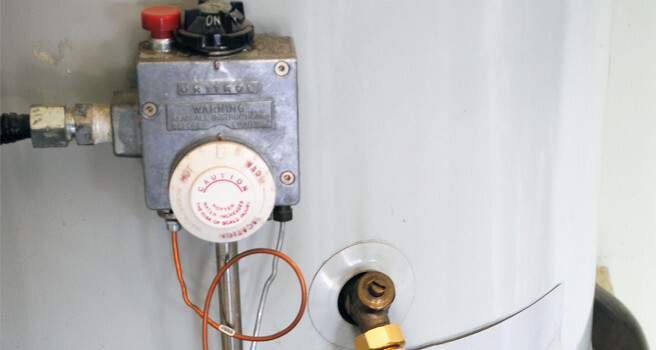 On a gas water heater, the gas control valve (thermostat) could be broken. For an electric water heater, one of the electric elements or thermostats could have burned out. The dip tube inside the water heater could be bad, causing a reduced flow of hot water. If your water heater is old (8+ years) or if you live in an area with hard water your water heater could be full of sediment. This will reduce the amount of hot water a water heater can make. If you are new to the residence the tank may be undersized for your needs or smaller than the water heater in your previous home. Your hot water needs / habits may have increased over time. Generally as a water heater ages and nears the end of it’s useful life, it will produce less and less hot water. Most often this is caused by sediment building up inside the tank. Sediment build-up will decrease the amount of hot water your water heater can produce. Usually the water heater will be noisy or tend to make a loud rumbling sound if sediment is the problem. Sometimes the sediment can be flushed out of the water heater to fix the problem, sometimes it can not and replacing the water heater may be the only solution. A faulty or bad part can also be the source of not having enough hot water. Over time or due to a manufacturing error a part can wear out, but most often they can easily be replaced to get your water heater working at top efficiency again. A highly trained Water Heaters Only, Inc. technician can diagnose the problem with your water heater and let you know exactly what the solution is. Most often we have the parts available to fix or replace your water heater right away. Call 24 hours a day 951-688-1175 to speak with one of our water heater experts to schedule an appointment for an on-site diagnosis and have a technician arrive to solve your water heater problem quickly.